Anthelcide EQ (Zoetis) 22.7% Oxibendazole. 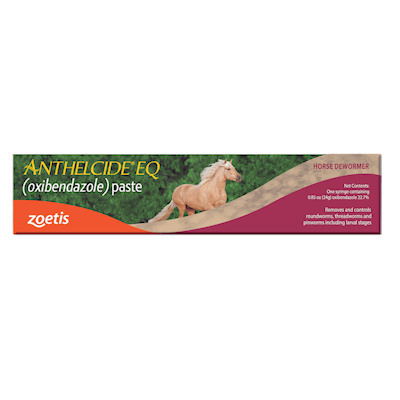 Anthelcide EQ Paste is a formulation of broad-spectrum benzimidazole anthelmintic. 24 gm syringe treats up to 1,200 lbs. body weight. Horses maintained on premises where reinfection is likely to occur should be retreated in 6-8 weeks.